This article explores the meaning of interactive digital signage when compared with interactive systems, focusing on driving forces behind the paradigm shift: technology and software. 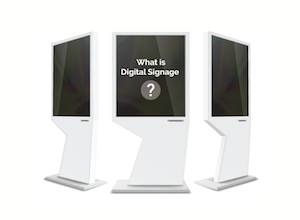 Here is our up-to-the-minute take on what is Interactive Digital Signage? Our previously published article “What is Digital Signage” explores the definition of modern digital signage along with its roles and capabilities. I invite you to read that article to become acquainted with the term Digital Signage as this article will build upon its content. Today, interactive engagement is acknowledged as a key ingredient to the delivery of successful digital signage, equipping brands and organizations with new approaches to an old challenge. For example, quick-service restaurants are introducing self-ordering kiosks; supermarkets are filled with smart shopping screens; museums are providing visitors with touchscreen walls and wayfinder kiosks; public and service sectors are rapidly adopting interactive kiosk solutions. 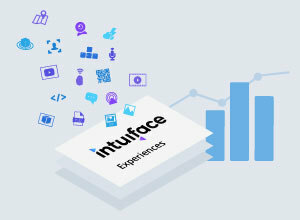 Owing to the increasing number of interactive technologies like RFID, sensors, IoT, tangible objects, and gesture recognition, and thanks to the availability of advanced software platforms like Intuiface with extensive support for interactivity, the only limit is on our use of interactivity is our own creativity. To state the obvious, interactive signage adds interactivity to traditional digital signage (TDS). Traditional digital signage puts information or promotional content on view, regardless of whether or not viewers are paying attention. It's a broadcasting system that sends time-orchestrated content (videos, images, Flash, text, HTML), much like television, except that you don’t have the remote in your hand. Interactive digital signage, on the other hand, turns viewers to users. The content becomes part of an experience that is orchestrated by users and thus personalized. 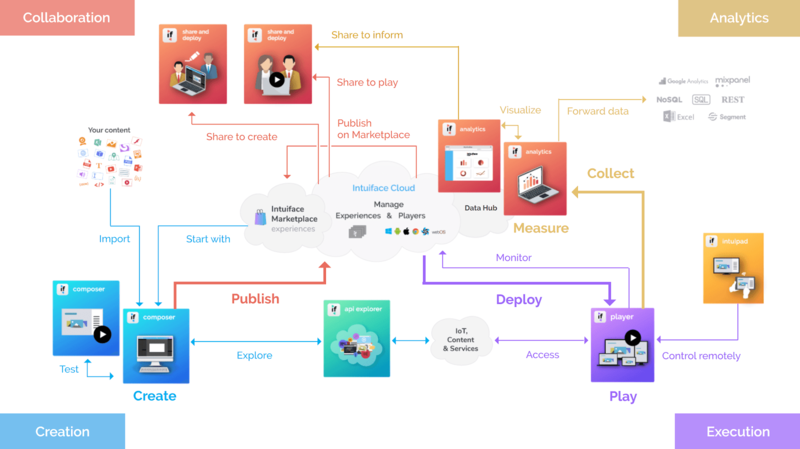 Each user can express their preferences and selections through interaction, retrieving information specific to their individual needs and interests. In summary, TDS effectiveness relies on making vivid, impersonal impressions: big screens, loud audio, flashy messages. Interactive digital signage opens the door to personalized engagement. As evinced by the term itself, the early forms of digital signage focused on hardware. Big leaps in the industry were due to display solution advances driven by the market’s aspirations around physical limitations, graphic capacity, readability, and reliability. 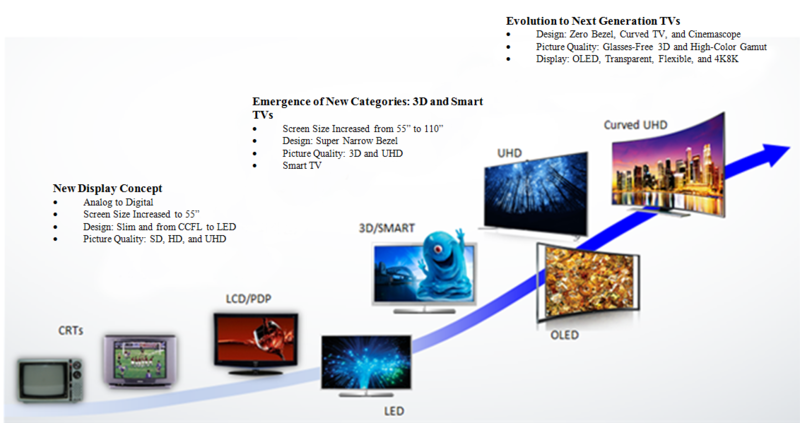 Thinner display technologies such as plasma and LCD superseded bulky analog displays, and eventually, even thinner and brighter displays such as LED and OLED displays were introduced. Since its first appearance in the early 1980s, touchscreen technology also matured with faster response time and smaller touch targets. Today, there are a number of touchscreen technologies, with four taking the largest share of the market: capacitive, infrared(optical), surface acoustic wave, and resistive. The implication of those accelerated breakthroughs in display technology spilled over into the content and software side. More affordable, dynamic, and responsive display solutions became available in the market, and the continuous push and pull of demand and supply increased the number of digital signage solution end-users all competing to grasp people’s attention. The network effect propelled a paradigm shift from static and pervasive to more inviting and empowering content, which was followed by off-screen device technologies that added interactive functions to the system: sensors, cameras, beacons, RFID/NFC readers, scanners, and the Internet of Things that connects network-accessible devices. The rise of Internet technology, technical advancement, and high-speed connectivity has opened a new world of possibilities. Today, brands and organizations in all industries aspire to capture attention via more engaging, memorable and useful digital signage solutions. Owing to the technological progress in display and device solutions, today’s digital signage is more than just an eye-catching display that it used to be. The range of interactions that can be made on digital signage has expanded to the level that is not easy to define. RFID/NFC: Similiar in concept to beacon technology. Here, electromagnetic fields are used to automatically identify and track tags attached to objects. Sensors: Any device, module, or subsystem whose purpose is to detect events or changes in its environment and send the information to other technology. Internet of Things: Physical devices and everyday objects connected to the Internet. Tangible Objects: Using specially made interactive displays that can see colors, shapes, and other qualities of physical objects placed on those displays. 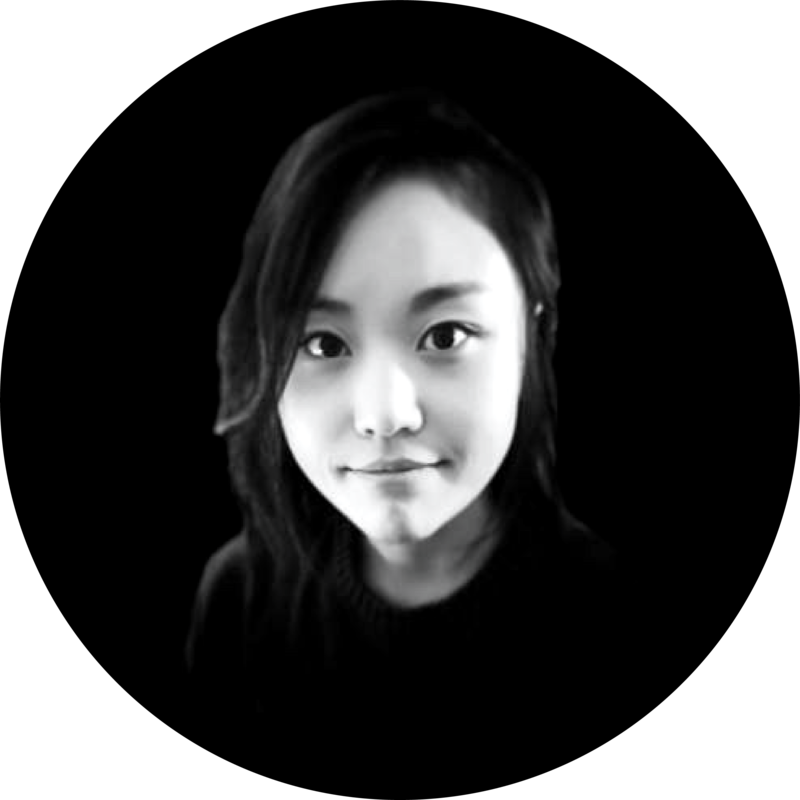 Facial Detection: Camera-driven software that can identify age, gender, attention-span and more. The advancement of display and device technology is changing our understanding of interactive digital signage’s roles and capabilities. We are offered a box full of new and useful tools. But let’s imagine that we can’t actually open it. The promising box would suddenly become inaccessible. Hardware technologies without the right software are exactly that box. In order for screens and devices to function at all in a body called digital signage, all systems must be integrated to work properly. That is where software plays the role that defines the actual capability and limit of an interactive digital signage solution. 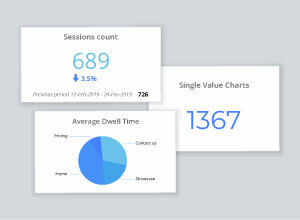 The interactive aspect of digital signage is close to unrealizable without software that enables us to create, curate, connect and iterate to varying degrees depending on the capacity of each software platform. 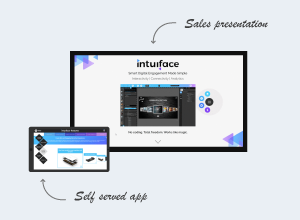 Source: Intuiface - An overview of an advanced interactive digital signage software's functions and workflow. Interoperability - enabling integration of various hardware into a single, harmonious whole. Extensibility - enabling agile and flexible external data communication. Creative freedom - enabling users to configure, animate, and design anything. Usability - enabling anyone to create and manage the system easily and efficiently. Measurability - data collection and analysis to deliver insight and assessment. The history of digital signage has experienced a transition from mere information display to engaging, personalized content. With an abundance of platforms on the market all striving to win customers’ and user satisfaction, it is important to acknowledge that the new game changer is choosing the right software that serves above-mentioned qualities. If content is king, then software is the monarchy!